Congratulations on the closing of our transaction. that made it a joy to work together. Thank you!” Michael Knoll Skyline Properties, Inc.
“Teresa was friendly, informative, educated, and communicative. She delivered the best service I have ever received from a realtor and I have purchased several homes. My partner and I were completely impressed and satisfied. 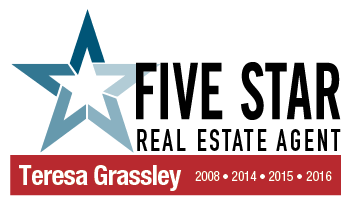 “Teresa went above and beyond any and all expectations we had in a real estate agent. Her skill, expertise, and experience were needed and revealed at several points through both our selling AND buying transactions. Her knowledge and understanding of real estate practices is significant which we were truly grateful for.